The time has come again to take part in a friendly Winter Bublr Bikes competition! 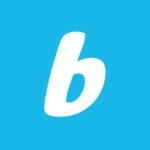 Do you think you have what it takes to be a Bublr Winter Bike champion? In the spirit of embracing the cold as a true Wisconsinite register to participate in the 2018 Bublr Winter Bike Challenge! Because we believe that biking doesn’t have to be a one-season activity! In fact, Bublr Bikes stays open all year because we’re committed to being a sustainable and convenient world-class transportation service in a world-class city like Milwaukee! We encourage residents to try biking all year round, to stay healthy, save money, and support sustainable transportation! Also, we know how much Milwukeeans like to win stuff! Now that you’re sold on participating in the 2018 Bublr Winter Bike Challenge let’s find out what you can WIN! The Bublr Winter Bike Challenge runs from February 1st-28th 2018. Participants are challenged to a series of Bublr Biking feats in strategy and endurance throughout the month of February for a chance to win awesome prizes from Bicycle Benefits, Bublr Bikes, Nutcase Helmets an honorary medal of achievement, and of course bragging rights! Thank you again for your interest in the 2018 Bublr Winter Bike Challenge! As some you know Bublr Bikes is a nonprofit, and it would not exist without the support of Milwaukeeans and visitors! This is your bikeshare, now go out there and KICK SOME ICE!! – Press Release – Bublr Bikes Celebrates Success with First Fundraiser June 7, 2018 MILWAUKEE | Bublr Bikes, Greater Milwaukee’s local nonprofit bikeshare program, held its first annual fundraising event Thursday, June 7th at La Lune Collection – 930 E. Burleigh St. If you’re planning on staying inside this December 2nd and binging on Hulu may we recommend not doing that? Try the Santa Cycle Rampage instead!